The fee agreed between the two clubs for the striker is believed to be worth £800,000 plus add ons. 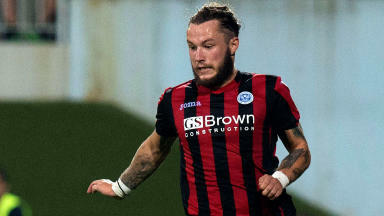 Sheffield Wednesday have completed the signing of Stevie May from St Johnstone. The striker has joined the English Championship side on a four-year deal, with the fee taking him to Hillsborough believed to be worth £800,000 plus add ons. May had also drawn attention from fellow Championship side Rotherham United, but Wednesday have beaten them to the signing of one of Scottish football's brightest young talents. The 21-year-old confirmed the deal on his Twitter account, writing: "Delighted to say I've have signed a 4 year deal with Sheffield Wednesday. Can't wait to get started." May scored 27 goals in 49 appearances last term as Saints claimed the Scottish Cup to cap a successful season. 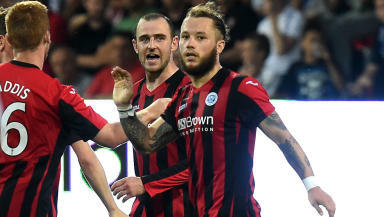 Thursday's 1-1 draw with Spartak Trnava in the Europa League, in which the striker scored, was May's last appearance for the Perth club, having spent 10 years at McDiarmid Park.